One of the most popular RV routes in the United States is the drive from New Orleans in Louisiana to Miami on the Atlantic coast of Florida. This scenic drive takes in the deep south and boasts many attractions and activities along the way. Not only this, but travelers get to start their journeys in the unique and lively city of New Orleans and end it on the sunny, white sand beaches of Miami. If you’re wondering where to take your next RV rental journey, then be sure to consider this enjoyable drive through the south. On your way, consider these great stops. The very first landscape you will come across when you drive out of New Orleans is the swampy surrounding territory known as bayou country. It is highly recommended that you take your time and truly get to appreciate this original and fascinating territory. A great way to do this is to take a guided swamp tour. With one of these tours you will get to see the eerie beauty of the southern swamps, including lush canopies and other worldly scenery that you won’t soon forget. You will see a large range of wildlife from colorful bird species to the area’s most famous residents, the alligators. This is one of the most legendary areas of America for a reason, so you should definitely get to know this territory while you have the chance. Make sure to stop off along the roadway at one of the many seafood eateries that exist in this region. Here you will be able to chow down on crawfish, catfish, and experience the po’boy sandwich which many claim to be a way of life more than just a food. You may not think about coastline when you consider Alabama, but if you look on a map you will see that the Gulf of Mexico runs right up on the southern end of this state. Alabama’s coast has long been known as a beautiful, sunny, laid back location with great beaches, food, and entertainment to be had. Unlike some of the more famous beach scenes in the country, the beaches here are less crowded, more cost effective, and offer the same attributes as any other beach area. There are many towns and resorts along the Gulf, so taking a drive along the water is always recommended on your way to Florida. The coastline will offer you all of the main activities you get to experience in a beach community, including great beach days and watersports galore. You just may fall in love with the Gulf Coast, so take your time and enjoy it. Although you are heading to the Atlantic coast of Florida on your journey, it is highly recommended that you check out the Gulf Coast side as well. This Floridian coast has some of the very best beaches to be found anywhere in America. If you head south to the Tampa Bay region you can experience this wonder while still remaining on your route to Miami and not losing any time. Once you witness the pristine beaches and experience the laid back tropical culture of this area you won’t regret that you’ve made the stop. From major cities such as Tampa to quant, laid back beach towns such as Dunedin on the coast, you have majestic water views, great seafood, and plentiful culture to experience on what Floridians refer to as “the other coast”. 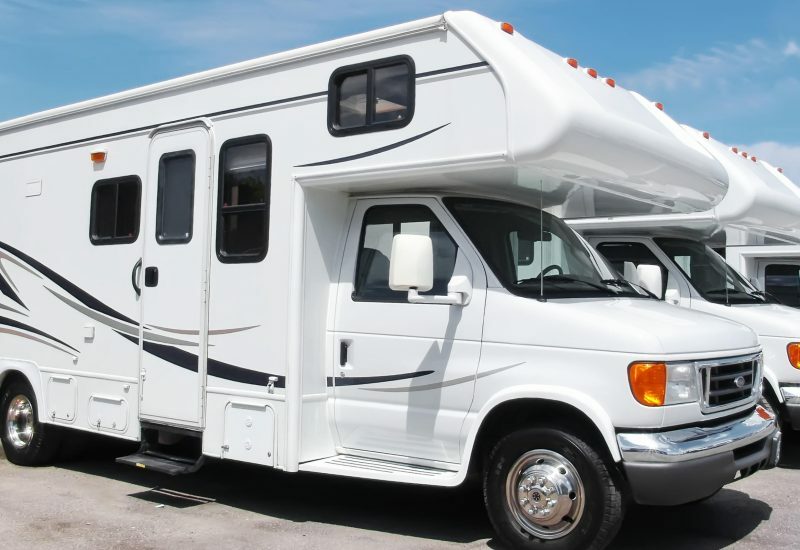 You surely won’t regret steering your RV rental southward while on your journey. Located in the heart of central Florida, Orlando is a convenient stopping point for those headed in the Miami direction. You have most likely heard of Orlando in relation to Disney, but it should be noted that this diverse and progressive city offers much more than just the world’s most famous theme park. Orlando is alive with great neighborhoods, dining, and entertainment and is well worth exploring even if you aren’t planning on hitting Disney. Downtown Orlando plays host to a multitude of nightlife, restaurants, and stores, and there are many great neighborhoods throughout the city that offer up more of this and then some. Since it is so convenient for your route, it would be well worth stopping through O Town on your way to the coast. Even if you aren’t planning to stop in the Everglades, just driving through this wondrous region will be enough. Brimming with wildlife and framed by sunny skies and swamp vegetation, The Everglades are one of America’s wonders. Driving through the Everglades is an amazing experience that will allow you to marvel at the vegetation, the miles and miles of swampy forests, and the wildlife. You may even spot an alligator in the side of the road. Aiming your route right through the heart of the Glades will be a terrific idea for any traveler. The route from New Orleans to Miami is full of wonder and great places to stop. If you’ve been at a loss for where to head for your next RV rental trip, then make sure to keep this route firmly in mind. How To Choose The Best Staffing Agency For Your Company?